What’s even more bizarre? I’m listening to the Andrews Sisters right now! Boop boop! Did-dam dad-dim. Waddle. God! 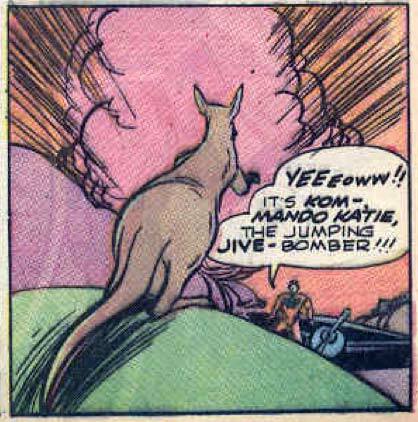 Nazi fighting kangaroos?!? What’s next crime fighting koalas?